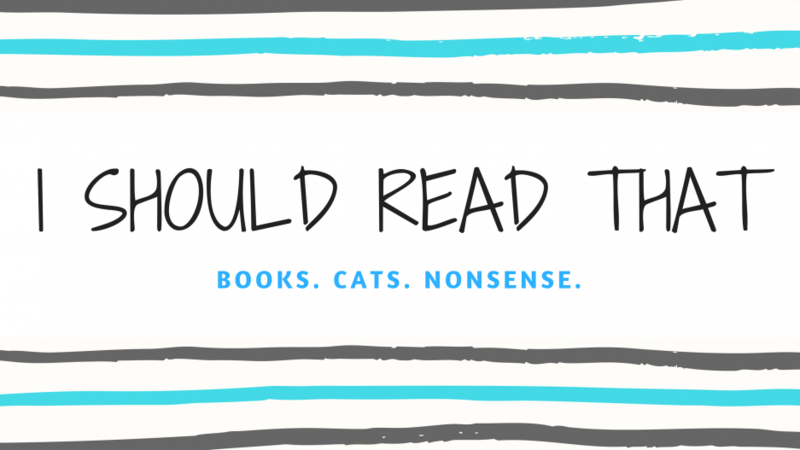 I Should Read That – Books. Cats. Nonsense. As soon as I heard about Do You Dream of Terra-Two? I knew it would be the exact kind of book I love. I went into this debut sci-fi novel with high expectations and they were surpassed. A beautiful, thought-provoking story of mankind’s first manned interstellar mission, Do You Dream of Terra-Two? will haunt you long after the last page. Happy Friday, all! This week has been pretty great for me. I finished up my last day at my old job on Monday and have been having a very relaxing week of funemployment until I begin my new role next week. This means that I've been doing a ton of reading -- check it out! Hello pals! I'm so happy to announce that the Off the Grid Readathon is back! Shanah from Bionic Bookworm came up with this fantastic quarterly readathon in 2018, and the time has come for our third round. We always have such a good time running this readathon and invite you to join us! I’m going to be completely honest, I don’t really know how to write this review. I’ve had The Bone Season on my radar since it came out in 2013. My mum heard about it on the radio and bought a copy because she thought we might be interested. I never got around to picking it up until February 2019, when I decided to give it a try in anticipation of Priory of the Orange Tree’s release. I didn’t know what to expect from The Bone Season except that it is weird and not every reader’s cup of tea. I can sum up my feelings on this book pretty easily: I have no idea what the hell just happened but I loved it. March was such a busy month -- I feel like it completely flew by! I had so many life changes in March, including preparation for moving to a new job and studying (and passing!) by driving theory test. I did, however, still manage to get some reading done, although I didn’t read as many books as I had wanted. Welcome to my stop on the Muse of Nightmares blog tour! To celebrate the paperback release, I’m bringing you a review of this gorgeous fantasy novel. Judging by my overwhelming love of Strange the Dreamer, it’s no surprise that I absolutely adored the concluding book in Laini Taylor’s latest duology. Take a look at my thoughts below, and don’t forget to check out the other stops on the tour! I had been desperately waiting to get hold of a copy of The Priory of the Orange Tree, and it finally landed in my hands in February. It’s a chunky 800-page fantasy tome that is packed with cool dragons, mighty queens, fierce warriors, and enough court intrigue and conspiracy to warm my heart. I was fully expecting this to be my favourite book of the year, so what did I think of it?